Deepen your sense of the past at sights like Smoky Cape Lighthouse and Tacking Point Lighthouse. Relax by the water at Scotts Head Beach and Elizabeth Beach. Change things up with these side-trips from Port Macquarie: Whitewashed Gallery (in Hallidays Point), Great Lakes Museum (in Tuncurry) and South West Rocks (Scuba & Snorkeling & Trial Bay Gaol). The adventure continues: get a new perspective on things with Boat Tours & Water Sports, explore the striking landscape of Sea Acres Rainforest Centre Port Macquarie, admire nature's wide array of creatures at Billabong Zoo: Koala & Wildlife Park, and admire the landmark architecture of Port Macquarie Historic Court House. To find photos, ratings, other places to visit, and more tourist information, refer to the Port Macquarie holiday maker site . Sydney to Port Macquarie is an approximately 3.5-hour flight. You can also drive; or do a combination of flight and bus. Expect slightly colder weather when traveling from Sydney in February: highs in Port Macquarie hover around 25°C, while lows dip to 22°C. Cap off your sightseeing on the 17th (Sun) early enough to travel to Sydney. Your cultural itinerary includes sights like Australian National Maritime Museum and Darling Harbour. Step off the beaten path and head to Shelly Beach and North Head Sanctuary. There's lots more to do: enjoy the sand and surf at Manly Beach, admire the natural beauty at Royal Botanic Garden Sydney, take a stroll through The Rocks, and tour the pleasant surroundings at Clovelly Beach. To see traveler tips, more things to do, other places to visit, and other tourist information, go to the Sydney trip planner . Traveling by flight from Port Macquarie to Sydney takes 3.5 hours. Alternatively, you can drive; or do a combination of bus and flight. 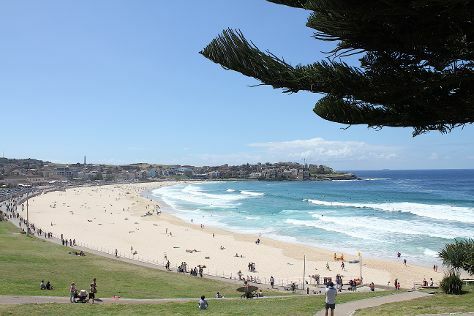 Traveling from Port Macquarie in February, you will find days in Sydney are somewhat warmer (31°C), and nights are about the same (23°C). Finish your sightseeing early on the 21st (Thu) so you can travel back home.